NBA players record what is known as a double-double in a game when they record double digit stats in two of the following five categories, points, rebounds, assists, blocks or steals. Getting a double-double in a game is a much easier feat for players than getting a triple-double is. These are the players with the most career double-doubles in NBA history. Wilt Chamberlain is the all-time leader in double-doubles with 968. Wilt played in 1,045 career games in the NBA, so he had a double-double in 92.6% of the games he played in. Not too surprising considering Wilt Chamberlain averaged 30.1 points and 22.9 rebounds per game. Moses Malone has the second most double-doubles in NBA history with 894. Malone played in 1,329 games in the NBA. So Moses Malone, who averaged 20.6 points and 12.2 rebounds per game, had a double-double in 67.3% of his NBA games. Elvin Hayes, the Big E, has the third most double-doubles in NBA history with 890. The Big E played in 1,303 games, so he had a double-double in 68.3% of his games. Elvin Hayes averaged 21.0 points and 12.5 rebounds per game. Kareem Abdul-Jabbar has the third most double-doubles in NBA history with 885. 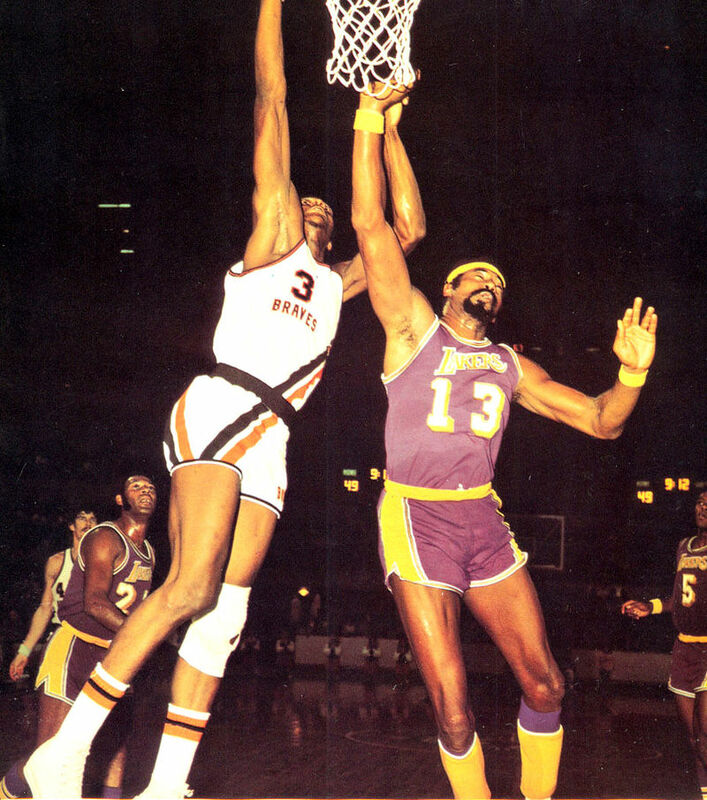 Kareem played in 1,560 games, so he had a double-double in 56.7% of his games. Kareem Abdul-Jabbar averaged 24.6 points and 11.2 rebounds per game in his career. Tim Duncan had 841 games in which he recorded a double-double. Duncan played in 1,389 games, so he had a double-double in 61% of his games. Karl Malone has the most double-double games in NBA history since the 1985-86 season with 811, and the fifth most all-time. Malone averaged 25.0 points and 10.1 rebounds per game. He played in 1,476 games, so he recorded a double-double in 55% of the games he played in. Bill Russell has the sixth most double-doubles in NBA history with 785. Russell played in 963 games, so he had a double-double in 81.5% of his games. Bill Russell averaged 15.1 points and 22.5 rebounds per game. Hakeem Olajuwon is seventh all-time in double-doubles with 774. Hakeem played in 1,238 games, so he had a double-double in 62.5% of his game. Hakeem Olajuwon averaged 21.8 points and 11.1 rebounds per game in his career. Walt Bellamy had 755 double-doubles in his career in 1,043 games. So Walt Bellamy, who averaged 20.1 points and 13.7 rebounds per game, had a double-double in 72.4% of his games.